Google announced a stupid amount of news at Google Cloud Next 2019. Unfortunately, much of that got buried by ads. I don’t mean Google Ads. I’m talking about partner and customer pitches. 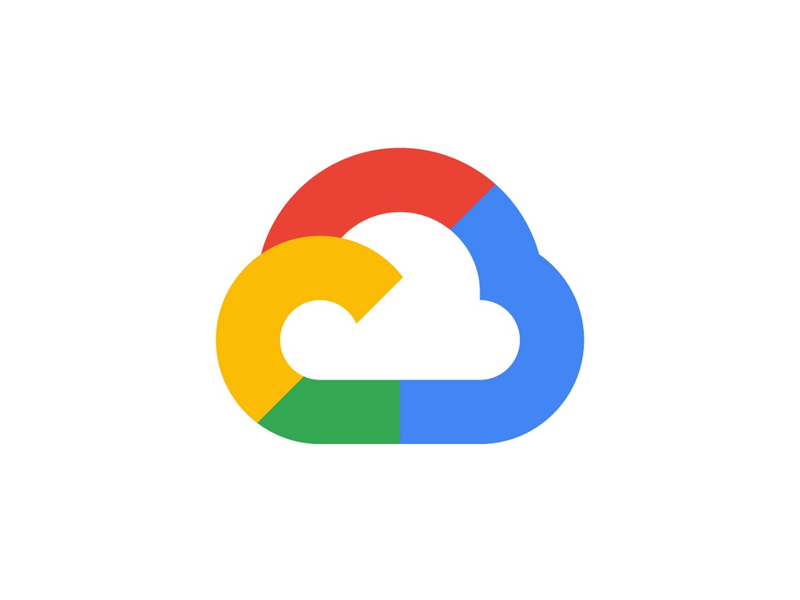 Google Cloud Next 2019 had two keynotes, one on each of the first two days, plus a developer keynote in the evening on the second day. You can rewatch them here — I did because I wanted to quantify the feeling of constantly being pitched by Google’s partners and customers. More than a third of the total keynote time, roughly 37% by my calculations, was not about Google. The first 90-minute keynote had about 35 minutes dedicated to Google’s partners and customers. I’m not counting the time that Google was onstage talking about its partners and customers. That’s bad, but hey at that point the general feeling was that Day 2 would be much better. The second keynote had roughly 37 minutes dedicated to Google’s partners and customers. 2019-04-12 00:00:00 Read the full story. 2019-04-11 22:50:27.389000+00:00 Read the full story. CloudQuant Thoughts… Earnings Season is on our doorstep again, major opportunities for profit. Are you able to write an algorithmic system to take advantage of the highs and lows of the earnings season? Head over to CloudQuant and flex your Python programming skills to the max (profit!). The excitement of IPOs fades fast as the offerings hit the market and reality sets in. It took less than two weeks for the IPO euphoria to cool. Shares of Lyft (LYFT are now down 31% since their opening trade on March 29. The decline began the second day of trading but was accelerated by the announcement after Thursday’s close that Uber, its much larger rival, finally filed its own offering with the Securities and Exchange Commission. Lyft fell 1.8% in Friday to a new closing low of $59.90. 2019-04-14 09:00:00-04:00 Read the full story. CloudQuant Thoughts… Lots of interest has been generated by LYFTs IPO, so a lot of market attention has been drawn in that direction, perhaps you should be looking elsewhere now, a quieter corner of the market.Buy when everyone else is selling, sell when everyone else is buying. Can you convert any of this into reliable consistently profitable trading model in Python, give it a try at CloudQuant. Artificial intelligence is being used by the Royal College of Music to help the next generation of violinists avoid injuries and burnout. The AI system, named SkyNote, is being tested by RCM students to provide real-time feedback on violinists’ bow position, pressure and speed. A camera picks out and records the movement of markers attached to a bow, while software highlights where a violinist’s technique deviates from that of professionals. 2019-04-13 00:00:00 Read the full story. 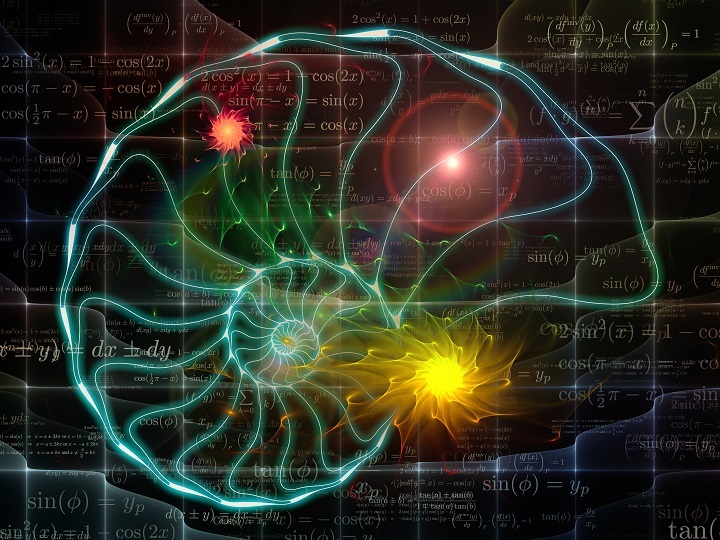 CloudQuant Thoughts… As a parent of a violinist and someone with a professional interest in AI this one caught my attention, information was hard to find but I eventually located this article! CloudQuant Thoughts… Our fellow Austinites and colleagues in the early development of CloudQuant, Anaconda held their yearly festival AnacondaCON last week. Lots of interesting Python, Big Data, ML/AI speakers for you to catch up on. Facial recognition technology was already seeping into everyday life — from photos on Facebook to police scans of mugshots — when Joy Buolamwini noticed a serious glitch: Some of the software couldn’t detect dark-skinned faces like hers. That revelation sparked the Massachusetts Institute of Technology researcher to launch a project that’s having an outsize influence on the debate over how artificial intelligence should be deployed in the real world. Her tests on software created by brand-name tech firms such as Amazon uncovered much higher error rates in classifying the gender of darker-skinned women than for lighter-skinned men. Along the way, Buolamwini has spurred Microsoft and IBM to improve their systems and irked Amazon, which publicly attacked her research methods. Last Wednesday, a group of AI scholars, including a winner of computer science’s top prize, launched a spirited defense of her work and called on Amazon to stop selling its facial recognition software to police. 2019-04-17 00:00:00 Read the full story. 2019-04-15 00:58:57+00:00 Read the full story. 2019-04-10 00:00:00 Read the full story. 2019-04-09 00:00:00 Read the full story. 2019-04-09 05:55:57+00:00 Read the full story. 2019-04-10 05:38:13+00:00 Read the full story. ETFs are the technology revolutionizing investing. ETFs are democratizing access to strategies and financial markets investors could not have dreamed of even a decade ago. 2019-04-11 08:24:34+00:00 Read the full story. French advertising and public relations giant Publicis Groupe (PUBGY announced it has cut a deal to acquire the Epsilon unit of Alliance Data Systems (ADS – Get Report) for $4.4 billion. Epsilon specializes in data analytics. “With this critical move, we are going further, faster and deeper in our own transformation, becoming a leader in this data-led, digital-first world,” said Arthur Sadoun, chairman and CEO of Publicis. Publicis owns the iconic ad agencies Leo Burnett Worldwide and Saatchi & Saatchi, as well as many other brands in the advertising and public relations world. The company expects the acquisition to add double-digit growth to per-share earnings and free cash flow in the first year, which will be 2020. 2019-04-15 07:15:03-04:00 Read the full story. The Codebase Ventures subsidiary is building a data management platform to fight ‘fake news’ using artificial intelligence and natural language processing. Pressland is using its platform and technology to help combat fake media sources and build trust between news outlets and audiences. Codebase Ventures Inc announced Wednesday that its subsidiary, Pressland, has signed a new partnership with iO Ventures LLC in its effort to verify trustworthy news before distribution. The Brooklyn-based Pressland is building a data management platform that fights the spread of misinformation using artificial intelligence and natural language processing to monitor and analyze new sources. 2019-04-08 09:30:56-04:00 Read the full story. 2019-04-12 17:20:44-07:00 Read the full story. return on data lake investments. Now Databricks is positioning its cloud-based Delta offering as a solution to that data quality problem. 2019-04-11 00:00:00 Read the full story. 2019-04-15 00:00:00 Read the full story. SAN FRANCISCO–The start of Google’s annual Google Cloud Next conference (April 9-11) here at Moscone Center includes several news announcements by the search giant. The data on big data indicates that up to 60% of analytics projects fail or are abandoned, costing companies an average of $12.5 million. That’s not the result we seek from data lakes. Instead, companies are increasingly finding themselves mired in data swamps that are overfilled and too muddy to offer any useful visibility. Or are they? 2019-04-15 11:00:00+00:00 Read the full story. 2019-04-14 00:00:00 Read the full story. 2019-04-14 12:00:16+00:00 Read the full story. factors have led to lower demand, as well as increased risk aversion and self-insurance, rather than growth-promoting risk-pooling, at the margin. Innovation, particularly in artificial intelligence, big data, and mobility, is another factor. Though the economic impact of these technologies is ambiguous, there is no doubt that they are reducing entry barriers across a growing number of economic activities and putting downward pressure on prices (the “Amazon effect”), at least in the short term. Nonetheless, their long-term effects on growth and productivity remain to be seen. Databases continue to migrate to the cloud with mix results, often requiring customers to choose between the convenience of cloud services and the countervailing costs associated with scaling and performance metrics like low latency. Flyreel, a startup that uses a combination of artificial intelligence and computer vision to expedite property-insurance underwriting, announced $3.85 million in seed funding Thursday. Gradient Ventures, Google’s AI-focused venture fund, led the round, and the venture arms of the legacy insurance companies State Auto Insurance and Donan also participated. Codebase Ventures Inc said Monday that its media subsidiary, Pressland, is extending its partnership with Study Hall, an online community of over 2,000 journalists contributing resources, news, analysis and original reporting for its members. The collaboration allows Pressland and Study Hall to leverage their expertise to strengthen their missions to support media transparency. Pressland uses artificial intelligence tools and natural language processing to analyze around-the-clock global news output and publish comprehensive, dynamic production data that can be used to identify misinformation before it spreads online. The company said the partnership will “increase industry awareness” of Pressland’s battle against fake news with its unique data management platform. Today’s consumers have more options than ever before, so they expect the financial service providers that they’ve selected to truly know them. On the other hand, consumers worry about privacy. How do banks and credit unions provide the customized service that consumers increasingly expect? 2019-04-11 00:01:47+00:00 Read the full story. Google plans to launch one of its first vertical-market cloud services packages introduced under new CEO Thomas Kurian Wednesday at Google Cloud Next 2019 with its top cloud rival squarely in mind. 2019-04-10 16:00:38-07:00 Read the full story. “A lot of my vision for MyWave was partly about what I thought SAP should think about doing next,” she said. 2019-04-09 14:00:17-07:00 Read the full story. 2019-04-11 06:00:03-04:00 Read the full story. ( ) (OTCMKTS:BKLLF) announced Monday that its media subsidiary, Pressland, is forging a commercial partnership with San Francisco’s OutVoice to consult on products that cut down on inefficiencies and drive client engagement in the rapidly evolving media-tech space.
. Now a company called Cognoa is licensing that software to bring it to more kids. 2019-04-10 17:00:36 Read the full story.